Life’s best moments are often met with great anticipation. Recognizing the opportunity therein, marketers have long worked to position their brands to play significant roles in those special moments. Think about your first bike - did you beg for a Huffy or a Schwinn? Enjoying that first adult beverage was a memorable moment for many of us. When the much-anticipated moment came, you may have asked for a Guinness without even knowing why, exactly. For 259 years, Guinness has found ways to maintain the venerable brand’s bold, confident image while staying relevant to an ever-changing audience. 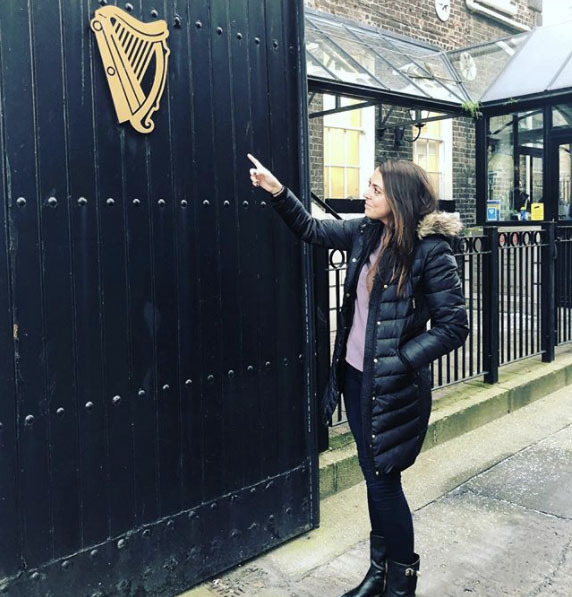 In honor of St. Patrick’s Day, we’re paying homage to the Irish brewery, and because we’re marketers, we’ll focus on how Guinness cleverly used marketing over the years to keep the brand in high demand. We’ve talked about Guinness before. It’s such an iconic brand that as marketing professionals, we can’t help but appreciate its rich narrative, and look for ways to learn from it. Arthur Guinness began brewing ales at the St. James’s Gate Brewery in Dublin in 1759. A decade later, Guinness exported ale for the first time, shipping six-and-a-half barrels to Great Britain. The decision to export was a bold move, given the uncertainties surrounding sea travel at the time. In 1799, Guinness stopped brewing ale to concentrate on his dark beer, affectionately dubbed “porter” after its popularity with street and river porters. The color isn’t black, as you might think. Roasted malted barley gives the liquid its distinctive, deep red color. Playing things safe and blending in with the competition has never been part of the Guinness brand, a philosophy reflected in its long advertising history. The brand’s earliest and most memorable campaigns include those bearing the “Guinness is good for you” slogan. The quirky slogan was plausible because some physicians ordered new mothers a pint following childbirth, citing the iron content of the ale as beneficial to recovery. The “good for you” slogan was a staple for 40 years until tighter advertising regulations forced it into retirement. The “Guinness for strength” slogan followed, speaking to the laborers who were shaping industries and building cities. In the mid-30’s, the slogan evolved to “My goodness, my Guinness,” and featured illustrations of zookeepers and animals, including crocodiles, seals, and toucans. The slogan evolved in the mid-50’s to “Lovely day for a Guinness” and maintained the zoo theme. Guinness was an early pioneer of buyer research in the 1960’s. The “Shipyard” execution is an early example of using data to plan a more sophisticated approach to audience targeting; the TV ad featured a man drinking a Guinness at the end of the work day and positioned the beverage as a way to relax after paying the days’ dues. In the late 1970’s and 80’s, new television spots parodied the previously successful “Guinness is good for you” slogan with the more acceptable “Guinness isn’t good for you,” along with an empty mug. The tongue-in-cheek slogan upheld the stricter advertising requirements of the time while implying everyone should have a Guinness. One of the most memorable ads of the modern era is the 1998 spot titled “Surfer,” released on St. Patrick’s Day. The spot won numerous awards, including a Cannes Gold Lion and several Clios. Influenced by illustrator and art nouveau painter Walter Crane’s work, “Neptune’s Horses,” the spot closes with the line “Good things come to those who…” a subtle reference to the time needed to properly pull a pint of Guinness. 2012 saw the brand introduce the “Made of more” campaign, celebrating an attitude of humanity, courage, and confidence to carve your own path, just as Arthur Guinness did in 1795 when he signed a 9,000-year lease on a small, ill-equipped property that would later become a center of brewing innovation (Guinness still pays £45 in rent). Initial executions in the “Made of more” campaign include television spots titled Cloud, Clock, and Surge. These spots came to be viewed as too distant by Guinness and its advertising partners upon discovering that consumers wanted to see unique Guinness character in the central marketing idea. So, the brand developed new executions from the “Made of More” platform, including Sapeurs and Basketball. These, along with another execution titled Empty Chair, did more to celebrate the people that shared the bold Guinness philosophy. Guinness drinkers identified more with the new executions. The Storehouse interactive exhibits offer visitors deep insight into the brand heritage, showcase memorabilia, and explain the craft of brewing. Other displays address responsible drinking and provide visitors with glimpses into products under development. In 1988, Guinness introduced a widget that nitrogenated canned Guinness for a more draught-like experience and taste. In 1999, that technology was added to bottled beer, making for a more smooth and creamy drink. The Brewer’s Project also launched in 2014, with a mission to explore new brews and reinterpret historic recipes. Don’t hesitate to revisit the well. Everything old becomes new again. 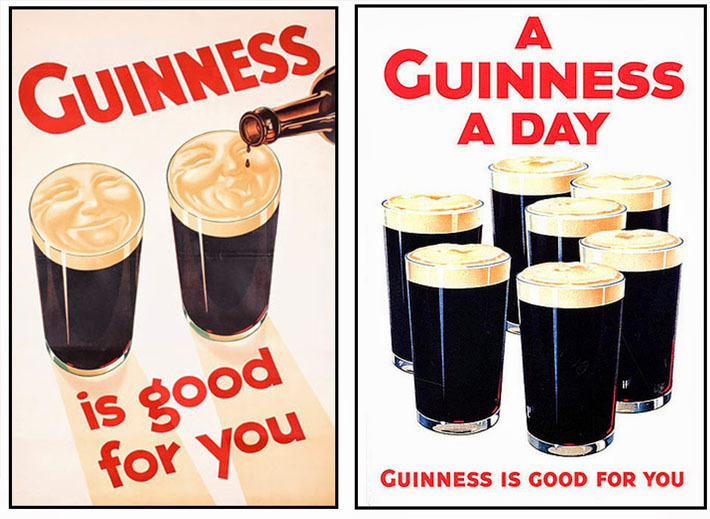 Although the “Guinness is good for you” slogan was no longer suitable, the brand flipped the script to come up with “Guinnless isn’t good for you.” The revised slogan struck a chord with those who remembered the old campaign, and sales shot up as a result. Embrace your unique qualities. Patience is the key to ordering a draft Guinness. The 1976 television spot titled “Black Pot” positions the familiar wait period as an alluring quality. Like many of life’s finer things, Guinness should be savored. Celebrate yourself. In 2009, Guinness decided to celebrate its 250th anniversary by honoring founder Arthur Guinness. Every September 22 in Dublin, drinkers offer a toast of appreciation to the famous brewmaster. Create a splash around something unique to your brand. Find inspiration everywhere. Who would have thought Walter Crane’s oil painting could get a modern face-lift and star in a beverage ad? The creatives at ad agency AMV-BBDO did. The spot challenges viewers to pursue their muse, much like the Guinness brand has done since 1759. If you miss the mark, pivot. The initial executions in the “Made of more” campaign did not strike a chord with Guinness lovers. By digging into the reasons for the miss, Guinness was able to adjust the creative in ways that resonated without completely abandoning the central marketing idea. Guinness has a tremendous and storied brand history. Times surely have changed since its humble beginnings, but a steadfast hold on identity coupled with innovation has helped the brand to remain beloved by suds seekers around the globe. Iconic brands like Guinness aren’t born, they’re crafted. 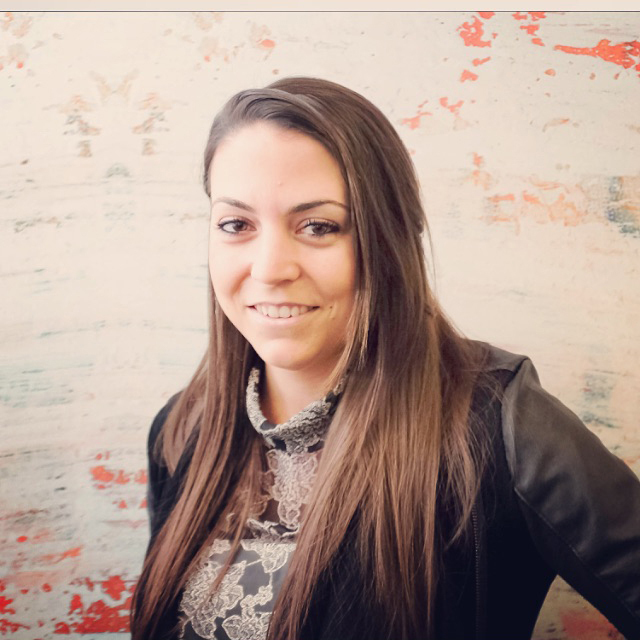 Subscribe to the LinkedIn Marketing Solutions blog for more advice on how to make your brand legendary.